'...a painter of integrity, totally personal and inimitable, with superb draughtsmanship and exceptional emotional and evocative power'. 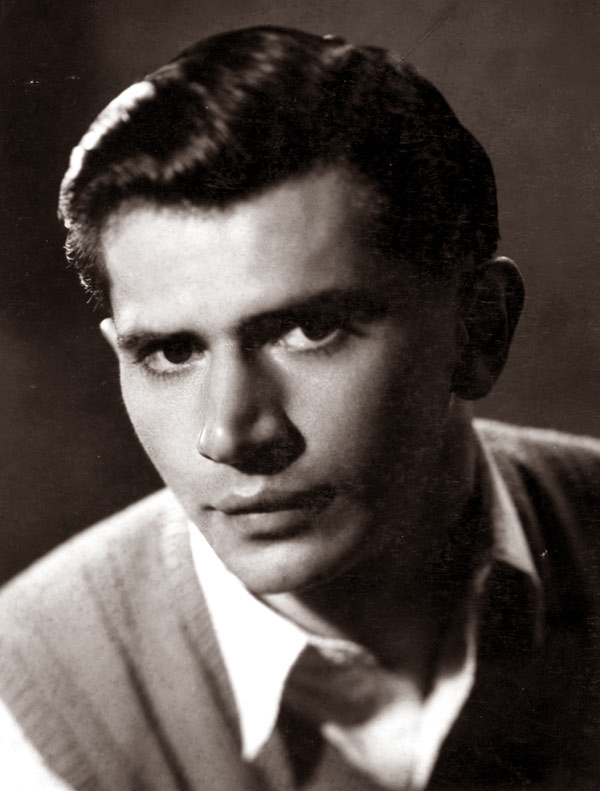 Johannes Meintjes enjoyed the kind of popularity in the fourties and fifties which today is largely reserved for 'youthful idols of the pop-music world' as Esmé Berman pointed out (Berman 1983 : 285). The public adulation seemed to be based on the alluring romanticism and acceptable modernism of his art, but he was also looked upon as an image maker of national values. The Afrikaans press in particular named Meintjes a leading artist in 'Afrikaans painting' (compare Horn 1944; Die Vaderland 1949), a perception culminating in the awarding of the Vaderland Prize in the category 'a new own Afrikaans trend' (Die Vaderland 1949) jointly to Meintjes and Düring. The 'country boy' from Molteno, being a man of wide reading and education, had, from a young age, been a respected member of South African cultural circles. 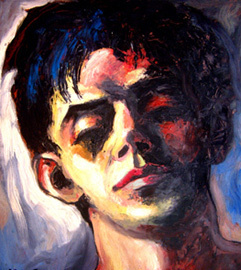 In his first year as University of Cape Town student of literature, Meintjes joined the exclusive 'K Club' (an organisation which aimed at bringing together 'those interested in the arts and crafts of the present day' - Berman 1983) on invitation by Florence Zerffi, his art teacher in the period 1938 to 1943, where he met artists and writers like May Hillhouse, Charles Peers, W.E.G. Louw and N.P. van Wyk Louw. Meintjes also established himself as writer of fiction and non-fiction (particularly on South African history). As a South African with a keen interest in all forms of art, he realised the need for education in the post WW2 South African society and often delivered speeches or wrote articles on fine art, literature and drama. The affecting life-story of a former farm boy who 'made it' in city life but later returned to Grootzeekoegat, which the family had left after his father's death, influenced the public. It was often reported that he had always longed to return to the inherited farm. 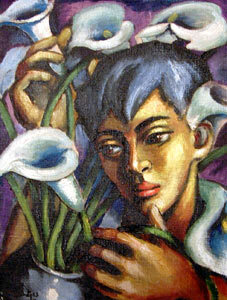 People and even critics, were moved to the extent that his art was appreciated within an autobiographical frame of mind. Meintjes' emotional images seemed to touch a soft spot in the community of the years directly after the Second World War. In the process of urbanisation South Africans, especially Afrikaners, experienced a taste and longing for works of art which embodied the inner world of mankind rather than the cold factuality of the surroundings. Johannes Meintjes once stated that a painting should move ('ontroer') people and can in no way be a copy of nature (Meintjes 1944 : 5). 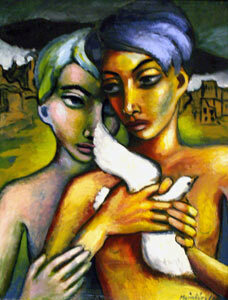 Meintjes associated with the generation of artists who broke away from traditional and academic styles. At his first one-man exhibition in 1944 it was already evident that he sympathised with the freer expressions of artists such as Maggie Laubser, Irma Stern and May Hillhouse, and that he preferred bold, non-local colours and simplified, even distorted, forms. 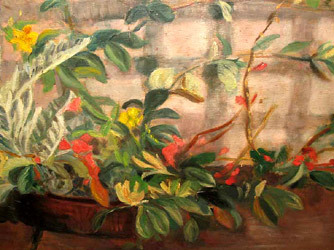 Waenhuiskrans (1942), a painting of the period when he was a student of Zerffi's (see still life below), still demonstrates some faculties of academic tonalistic painting - the European climatic atmosphere and the 'muddiness' of the colours - that were soon to be eliminated in his art. It is interesting to note that this student work of art already entails qualities of his more mature works, e.g. the bright orange colouring of the hill which accentuates the flatness of the picture plane, thus not accommodating the spatial illusion of traditional and academic styles. 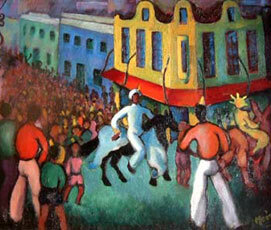 In the period between the World Wars the avant-garde of the South African art world experimented with elements of early twentieth century Western art, Expressionism (especially the German school), Abstraction in its different manifestations, as well as Surrealism (Dali and the French school) since the early fourties. After WW2 some persuasive power was already in operation regarding conservative minded viewers and critics. 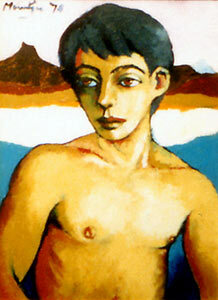 Meintjes' strongest affinity was for the so-called South African expressionists, but as in the case of all Western art after WW2, his works of art are eclectic and as such demonstrate the strive for autonomic imaging of prominent individuality and originality common to all forms of modern art. 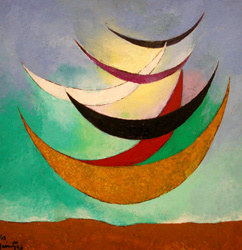 It seems to be of little consequence to analyse the different stylistic elements in Meintjes' oeuvre in the manner a German art critic once aimed at: Seine Kunst ist nicht abstract, viele seiner Bilder kann man realistisch nennen, aber sie zeigen auch teilweise etwas Expressionismus, ein wenig Impressionismus, und ... sogar einen surrealistischen Hauch [sic!] (Zumpt 1958 : 8). 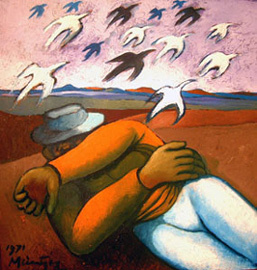 Meintjes' art is mainly associated with expressionism and surrealism (compare Berman 1983 : 285-286; Ballot 1958 : 8; Bokhorst 1961), therefore we shall discuss these concepts in some detail. 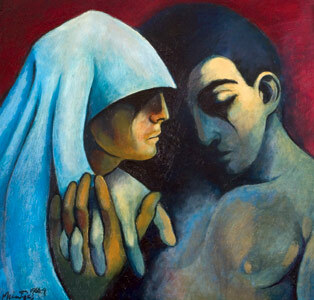 German Expressionism and French Surrealism indeed constituted traditions of widespread importance in twentieth century art : expression modes of emotional experience and sympathy, and of the uncommon or illogical and bizarre, have gained local colour even in South African art since WW2. 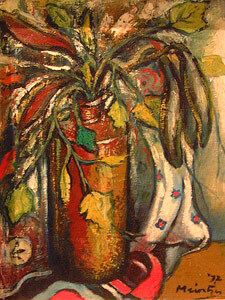 The South African expressionistic tradition was founded by Maggie Laubser, Irma Stern and Wolf Kibel. 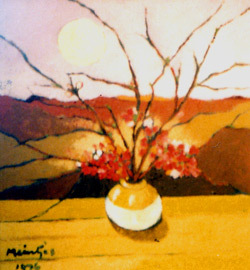 Meintjes was a friend of Maggie Laubser's since his student years and at the age of 22 he published a monography on her art in 1944. Later he acknowledged that he had learned a lot from Laubser's compositions and Stern's use of colour (Lantern 1963 : 80-89). 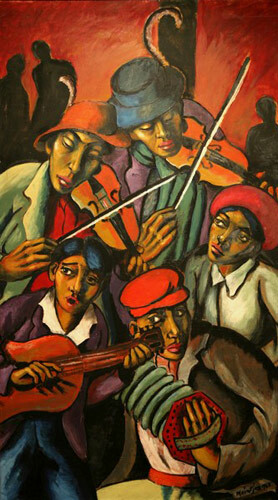 South African artists working in an expressionistic vein, were impressed by the formal and technical aspects of bold colour contrasts and powerful distortions of forms in German Expressionism, serving as a base for an introspective and subjective approach. Local artists did not share, naturally, the ideological situation of the early twentieth century Europe and the relationship with European examples therefore is of a peripheral kind (which is also applicable to surrealistic tendencies in South African art). Meintjes' monumental style is characterised by simplified, solid colour planes and contours, reminiscent of Laubser's art. 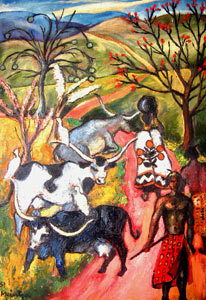 In Swazi Landscape (1951) even elements of the pastoral, somewhat naïve scenery of Laubser's are evident. 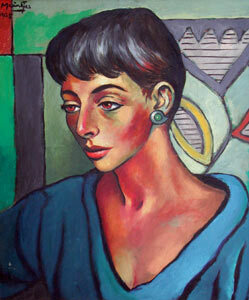 After the manner of Irma Stern, Meintjes enjoyed glowing colour and he often attempted a tour de force, for example Portrait of Edna Jacobson (1955) : in the composition a normally cold blue is transformed into a 'glowing' blue-green in the dress of the woman, due to its interaction with lime-green in the background and with the ochre and red-brown toning of the skin. In accordance with Meintjes' aesthetical approach, naturalistic 'laws' like three-dimensional spatial illusion, true-to-life anatomical representation or local ('natural') colour are of lesser importance. He aimed at visions of the inner self : to him a work of art depended on the intellectual and emotional depth of the artist and the emotional reaction of the viewer (Meintjes 1945). 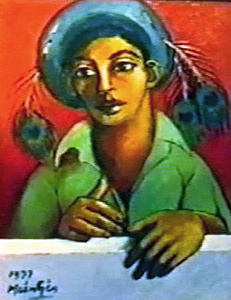 The brightly coloured Young Man with Peacock Feathers (1977) is essentially a portrait of adolescent disposition, the mood of prevailing uncertainty with an element of subtle pretentiousness (the exotic peacock's feathers in all their extravagance are meant to be seen!). European Surrealism of the period between the World Wars is based upon the belief that a revolutionary unity can be brought to life by pictorial surrender to the irrational world of dreams and the subconscious mind. Therefore Dali and his contemporaries experimented with bizarre and illogical object combinations in their strive to create 'the total, absolute reality' (that is Surréalisme). South African surrealistic tendencies, as in the whole of the Western art world since WW2, are to be apprehended as entailing nothing more than 'illogical', 'unexplainable' or 'strange' elements. 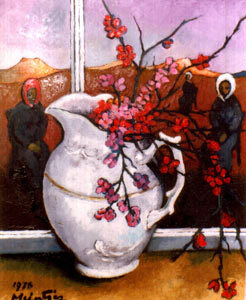 Keeping this in mind, Meintjes' The White Jug (1978), for example, embodies surrealistic imagery : the juxtapositioning of a dominating still-life and three isolated, motionless figures in a barren landscape is dreamlike and evokes an eerie feeling. As in most of Meintjes' 'surrealistic' works, the rousing of an emotion of strangeness is of primary importance and conceptuality seems to be of lesser importance. 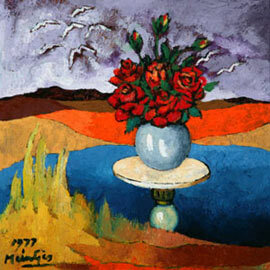 Romanticism is a state of mind or attitude toward life indicative of the mood of works of art, rather than correlating with any style or technique - compare in this regard Meintjes' art being called 'poetic' or 'lyrical' (Duminy 1974; Marincowithz 1948). The romantic art tradition dates back to early nineteenth century English, German and French art, and entails a revolution of enduring importance in Western art, namely the idea that 'great individual sensibility was [is] the only faculty for aesthetic judgement' (Honour 1979 : 16). Seated Woman in Landscape (1963) depicts an element of the so-called activated contemplation (Brion 1966 : 114) of German romantic art, reminiscent of the works of Caspar Friedrich's : the romantic motifs of large, empty spaces (landscapes) with isolated, meditating human figures evoke a mood of melancholy or even transcendental experience (the latter is seldom portrayed in Meintjes' works due to his existentialistic beliefs and his tendency towards nihilism, being a twentieth century artist). The borderline between romanticism and sentimentalism can be vague. 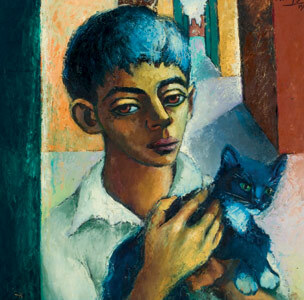 There is evidence of excessiveness and cliché's in Meintjes' oeuvre, for example Boy with Kitten (1960), lacking the mood and depth of other works. Unfortunately the public seemed to have demanded the 'sweet sadness of adolescent longing' (Berman 1983 : 285). From a stylistic point of view, it is evident that Johannes Meintjes portrayed scenes of motionlessness and timelessness in his clearly defined monumental forms. 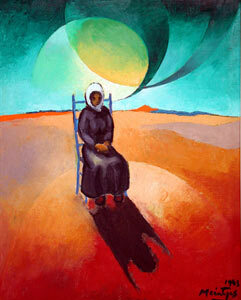 The dramatic use of colour and space support an emotional state of mind and, generally speaking, a dreamlike quality. 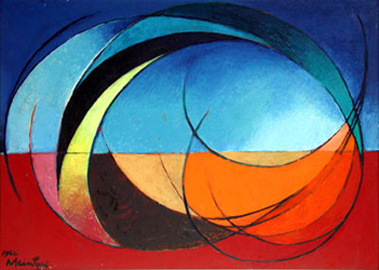 He seldom tried his hand at total abstraction (Landscape of 1964 seems to demonstrate that the artist is not at ease with the 'objective' structuring of forms - also see Spring Sky of 1963) and relied on humanitarian themes. 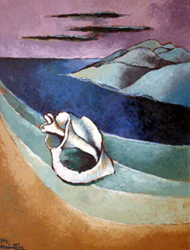 Even Landscape with Roses (1977) and Sea View with Shell (1962) involve archetypal images of humanitarian significance. Although Johannes Meintjes' paintings do not belong to the avant-garde trend in South African art, his bridging role regarding the furthering of art appreciation is of significant value. 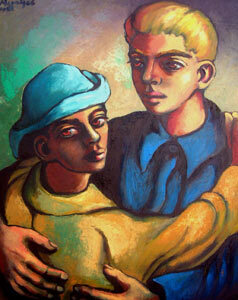 During the fourties and fifties Meintjes won the sympathy of the art public toward 'modern' art principles. His modernism was not of an opportunistic kind and indeed his manipulation of 'reality' according to the 'laws' of free expression made sense. On the other hand Meintjes promoted the sublime in art, serving a need which was not fulfilled in the illustrative or naturalistic painting prescribed by traditional or academic schools. Om 'n seleksie van 'n kunstenaar se totale oeuvre aan te bied, is 'n moeilike en dikwels onbevredigende taak. Privaatversamelaars is nie altyd geneë om kunswerke uit te leen vir openbare tentoonstellings nie en gevolglik is dit nie dikwels moontlik om 'n verteenwoordigende tentoonstelling byeen te bring nie. Wanneer 'n mens praat van Johannes Meintjes wat 'n geweldige produktiewe kunstenaar was en ook uiteenlopend gewerk het, kan 'n oorsigtentoonstelling vol tekortkominge wees. Gesien teen hierdie agtergrond, sal 'n allesomvattende kunshistoriografiese oorsig van Meintjes se kuns nie die doel van die volgende bespreking wees nie, maar sal slegs kortliks aan enkele algemene en ook enkele seldsamer aspekte geraak word. Aangesien die ruimte beperk is, is sy tekenwerk en beeldhouwerk wat 'n klein gedeelte van sy kunsproduksie uitmaak, en dus nie van besondere belang is nie, nie bespreek nie. Na my mening was Johannes Meintjes primer 'n skilder. Meintjes se herkoms, soos meeste Afrikaners van sy geslag, is plattelands, naamlik die seun van 'n skaapboer in die Moltenodistrik. Sy skool- en universiteitsopleiding, asook sy latere professionele lewe as kunstenaar het hom na die stede gelei, Kaapstad aanvanklik en later ook Johannesburg. As intelligente en besonder wydbelese jongman met 'n vurige belangstelling in letterkunde, ballet en die teater, het hy spoedig deel geword van die belangrikste kultuurkringe - dink maar aan sy lidmaatskap reeds in sy eerste universiteitsjaar van die eksklusiewe K-klub ('n klub wat in 1922 in Kaapstad gestig is ter bevordering van kuns) waarheen sy kunsonderwyser Florence Zerffi hom uitgenooi het en wat hom in die geselskap van mense soos May Hillhouse, Charles Peers, asook W.E.G. Louw en N.P. van Wyk Louw, gebring het. Die gemeenskapsomstandighede van die Afrikaner in die veertiger- en vyftigerjare het baie bepaald bygedra tot die belangrike rol wat Johannes Meintjes in die kultuurlewe gespeel het. Die verstedelikingsproses het nuwe horisonne geskep, maar terselfdertyd het talle mense aan 'n ontwortelingsindroom gely. In die massa- en geïndustrialiseerde samelewing van 'n snelgroeiende stad het behoeftes en verwagtinge verander. Wanneer Meintjes in 1945 skryf dat die jong kunstenaar nie verhewe bo die mensdom wil wees nie, ook nie daarbuite nie, 'maar één met die volk' (Meintjes 1945 : 17), kom 'n sprankie van die retoriek van die tyd deur. Hoewel Meintjes 'n paar jaar later in 'n onderhoud toegee dat 'n kunstenaar nie eerlik is wanneer hy sê hy skep omdat hy vir die volk iets wil sê nie en dat die publiek se insigte van die kunstenaar se oorspronklike uitgangspunt kan verskil (Smit 1950 : 11,13), het hy daarin geslaag om met sy kuns waarin die mens - en nie die stoflike omgewing nie - sentraal fungeer, die toeskouers emosioneel te bereik. Kritici het onder meer verwys na die 'emosionele aandoening wat sy skilderye by die meeste mense wek' (Human 1944) en ' 'n kunstenaar met 'n vonk van eie aard : wat nie alleen weet hoe om te teken nie, maar ook hoe om 'n sterk emosionele aanlokking uit te druk' (Die Burger 1948). Inderdaad sê Meintjes self dat 'n skildery die toeskouer moet ontroer (Meintjes 1944 : 5). Dit is darem sekerlik moeilik regverdigbaar om te beweer dat sy kuns 'n groot bekoring vir veral vroue inhou, moontlik omdat dit 'altyd baie dekoratief en kleurvol' is! (Die Vaderland 1958). In 1949 het Die Vaderland toekennings aan akteurs, musikante en kunstenaars gemaak na aanleiding van optredes in Johannesburg, Pretoria en aan die Rand. Johannes Meintjes het saam met Diederick Düring - 'n kunstenaar wat dekoratiewe werk in 'n gestileerde, prentagtige karakter gelewer het - die Vaderlandprys vir die oorspronklikste kuns in die kategorie ''n nuwe, eie Afrikaanse rigting' ontvang (Die Vaderland : 23 Desember 1949). Dit is dan ook werklik gesien teen die agtergrond van die tydsomstandighede dat 'n mens kan begryp dat Meintjes se 'gevoelskuns' in 'n sekere sin 'volksbesit' geword het : 'n resensent skryf na aanleiding van 'n eenmantentoonstelling in 1947 (na sy terugkeer uit Engeland) dat dit bemoedigend is dat sy aanraking met oorsese kulture bygedra het tot die verryking van sy styl 'maar dat dit geensins daardeur beïnvloed is om in 'n ander, vreemde styl te ontwikkel nie' (Dagbreek 1947 : 13). Insgelyks het kritici die lewensgeskiedenis van Johannes Meintjes verweef met die inhoud van sy introspektiewe kuns wat in der waarheid nie altyd getuig het van 'n verantwoordelike, estetiese beskouing nie. Hoewel Meintjes se oeuvre tot met sy dood in 1980 'n stempel van private, verpersoonlikte belewing dra, het sy werk 'n universele dimensie wat losraak van die sogenaamde eensame kinderjare van 'n mens wat sonder vader grootgeword het tussen vroue en te belese was om werklik maats in sy ouderdomsgroep te vind. Die feit dat die gesigte in Meintjes se werk dikwels trekke van 'n selfportret (hierdie aspek word later bespreek) gehad het, het 'n outobiografiese interpretasie bevorder. Die 'legende' is ook lewend gehou gedurende die jare (1949-1954) wanneer Meintjes op sy geboorteplaas Grootzeekoegat in isolasie woon en Johannesburg en Kaapstad slegs vir uitstallings besoek. Meintjes het aansluiting gevind by 'n geslag kunstenaars wat weggebreek het van die tradisionele natuurskildering en akademiese stylbenaderings wat die Suid-Afrikaanse kunsgeskiedenis tot in die twintigerjare oorheers het. Reeds met sy eerste tentoonstelling in 1944 het dit duidelik geblyk dat die leiding van Florence Zerffi (sien haar stillewe hieronder) hom die formele apparaat verskaf het om juis subjektivistiese idees, waarteen Zerffi met haar aandrang op streng dissipline haar studente gemaan het, tot uitdrukking te bring. Waenhuiskrans (1942) is 'n vroeë studentewerk wat nog enigsins eienskappe van die akademiese skool vertoon - let op die betrokke Europese lug, en die modderige kleuraanwending wat so dikwels by 'n jong tonaliteitskilder aangetref word. Die motiewe, naamlik huisies, bote en figure, is reeds vereenvoudigd weergegee en 'n vae aanduiding van Meintjes se ontluikende sin vir helder kleurgebruik is in die helderoranje kleur op die bultjie (wat 'n middelvlak in die komposisie aandui) vasgevang waardeur die illusionêre drie-dimensionele ruimte in die weergawe van hierdie toneeltjie by die see, terselfdertyd teengespreek word. Meintjes se 'moderne' en 'vryer' styl wat wegbeweeg van die tradisie van 'realistiese' onderwerpsbeelding, waarby beskrywing van die voorkoms van dinge belangrik geag is - dink maar aan Volschenk en W.H. Coetzer - en toenemend erkenning van die beeldvlak (hetsy doek, panel of papier) as twee-dimensionele plat vlak met 'n selfstandige uitdrukkingspotensiaal manifesteer, bou voort op die vernuwing waarvoor die Suid-Afrikaanse avant-garde van die tussenoorloge tydperk hulle beywer het. Kennismaking met die laat negentiende-eeuse en vroeg twintigste-eeuse Europese kuns tydens studiereise na Frankryk en Duitsland (interessant genoeg het Suid-Afrikaanse kunstenaars voor die Eerste Wêreldoorlog feitlik uitsluitlik in Engeland verdere opleiding ontvang wat die akademieskildering van die invloedryke Edward Roworth-skool lewend help hou het). Elemente van Sintetisisme, Ekspressionisme en Abstraksie het sigbaar geword in die werke van figure soos Maggie Labser, Pierneef, Preller, May Hillhouse, Walter Battiss en Cecil Higgs. Op hierdie stadium is die geïsoleerde werk van Wenning, Caldecott en Naudé wat met hulle vereenvoudigde weergawes gestreef het na verhoogde ekspressiwiteit, op 'n breë front uitgebou. Meintjes het geestesgenote gevind in die sogenaamde 'Suid-Afrikaanse ekspressioniste' wat onderwerpe in terme van die subjektiewe belewing daarvan weergegee het (die ekspressionistiese neiging van sy kuns word verderaan bespreek) en vertoon aanvanklik 'n losse verwantskap met kunstenaars wat hulle veral met die formele aspekte van abstraksie besig gehou het (soos J.H. Pierneef, May Hillhouse en Cecil Higgs). Dit is tog belangrik om daarop te let dat Johannes Meintjes nie lid was van die New Group nie, alhoewel lidmaatskap belowe is. Vanaf 1937 tot 1953 het hierdie groep waarby kunstenaars slegs op uitnodiging kon aansluit, 'n toonaangewende rol gespeel ten opsigte van die bevordering van kuns. Uiteraard is dit 'n blote spekulatiewe vraag of lidmaatskap van die New Group Meintjes se kuns in 'n ander rigting sou stuur. 'Seine Kunst ist nicht abstract, viele seiner Bilder... kann man realistisch nennen, aber sie zeigen auch teilweise etwas Expressionismus, ein wenig Impressionismus und... sogar einen surrealistischen Hauch [sic!]'. Met betrekking tot die historiese plasing van Meintjes se kuns, merk 'n mens op dat sy kuns 'n sekere selfbewuste hantering van ekspressievorme openbaar, maar dat sommige, veral latere werke, ook tekens toon van die groter selfversekerdheid en integrasie wat in Suid-Afrikaanse kuns, veral sedert die laat-vyftigs sigbaar word wanneer die 'reëls van moderniteit' in die diens van deurleefde selfekspressie werksaam word. 'n Goeie voorbeeld van 'n 'selfbewuste' werk is Gebreekte Maskers (1946) waarin die kunstenaar se diepsinniger boodskap grotendeels verlore raak in die formele ordeningsaspekte van die komposisie (omlynde kleurvlakke) en die cliché-agtigheid van die onderwerp eerder beklemtoon word. Daarteenoor spreek 'n portret soos dié van Edna Jacobson (1955) van groter intergrasie, ten spyte van die problem wat die kunstenaar met die hantering van die agtergrondsvlak ondervind, en dra Meintjes se vormtaal oortuigend die aristokratiese persoonlikheid van die geportretteerde dame uit. Meintjes se kuns word in verband gebring met ekspressionisme en surrealisme (vergelyk onder meer Berman 1983 : 285-286; Ballot 1958 : 9; Bokhorst, 1961), begrippe wat 'n mens kortliks onder die loep sal moet neem wanneer die grondliggende estetiese raamwerk van sy skeppings bepaal word. Die Duitse Ekspressionisme en Franse Surrealisme het inderdaad aanleiding gegee tot die vestiging van tradisies wat algemeen in twintigste-eeuse Westerse kuns beslag gevind het : ekspressiewyses van emosionele belewing en meelewing, en van die ongewone en bisarre het ook 'plaaslik' en 'gemeenplaas' in Suid-Afrikaanse kuns geword na die Tweede Wêreldoorlog. Die fondament vir 'n Suid-Afrikaanse ekspressionistiese kunstradisie is gelê deur Maggie Laubser - met wie Meintjes reeds as jong student 'n vriendskap aangeknoop het en wat onder meer uitgeloop het op 'n publikasie oor haar kuns in 1944 -, Irma Stern (saam met wie hy by geleentheid uitgestal het) en Wolf Kibel. Hierdie kunstenaars het inspirasie geput uit die formele en tegniese aspekte van helder kleurkontraste en kragtige vormdistorsies van die Duitse Ekspressionisme as grondslag van 'n introspektiewe en subjektief-analiserende onderwerpsbenadering. Waar die Duitse kunstenaars in die vroeë twintigste eeu met hulle eksploitasies van die Universum des Inneren (Vogt 1972 : 31) hulle ideologiese uitgangspunt dat 'n nuwe eenheid tussen mens en wêreld tot stand gebring kan word, uitgeleef het; (die geïndustrialiseerde Europa het die vraag na die mens se bestaan verskerp), openbaar Afrikaanse ekspressionisties-geneigde kuns uiteenlopende benaderings tot verpersoonliking en intensifisering en hou dus slegs 'n perifere verwantskap met Europese voorbeelde. Meintjes se affiniteit vir Maggie Laubser en Irma Stern se benadering het vanaf sy eerste uitstalling beslag gevind in sy kunswerke. Later het hy ook aangedui dat Irma Stern hom veel van kleur kon leer, terwyl Maggie Labser se komposisies hom aangegryp het (Lantern 1963 : 80-89). Kritici het in die veertigerjare ook veel gemaak van die Laubser-Meintjes verwantskap, soos onteenseglik weerspieël word in Nap de Bruyn se opmerking in 'n huldigingsartikel oor Laubser dat Johannes Meintjes 'n jong kunstenaar is wat nie minder geestig en skeppend is nie, en na wie met vertroue opgesien word om 'die tradisie van ware kuns' voort te sit (De Bruyn 1945). Die soliede kleurvlakke en kontoerlyntekening wat kenmerkend is aan Johannes Meintjes se monumentale styl, vertoon verwantskap met die werke van Maggie Laubser; soos ook die pastorale ontwerpe wat hy dikwels geskilder het - vergelyk in hierdie verband Swazi-Landskap (1951) met 'n naïewe beeldingskarakter (die 'kinderlike' skaalverhouding en uiteenplasing van die motiewe in die storievertellende geheel) - die plattelandse, burgerlike toneeltjies van Laubser in herinnering roep. Soos Stern het Meintjes veel vreugde gevind in gloeiende kleur waarvan die komposisionele opbou dikwels verrassend kan wees. 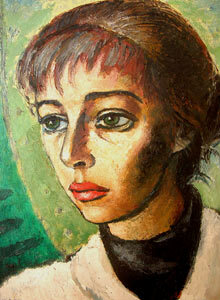 In Portret van Edna Jacobson (1955) is groen van die koelste skakering, 'n dungeskilderde lemmetjiegroen in die agtergrond, tot die 'warmste' skakering van blou-groen in die rok van die geportretteerde, deurgevoer : inderdaad gloei 'n andersins koue blou in sy interaksie met die warm okers en rooibrune van die dame se gesig en hals. Soos sy tydgenote wat in die Suid-Afrikaanse ekspressionistiese idioom skep, wil Meintjes gestalte gee aan die verhouding tussen 'eie innerlike' en die omringende 'uiterlike realiteit'. Jong Man met Pouvere (1977) demonstreer die aard van die ekspressionistiese inslag in Meintjes se kuns. Die emosionele wêreld van die seun word subtiel tot uitdrukking gebring in veral die helder kleur - let op hoe die gesig omraam word deur 'n rooi agtergrondsvlak, 'n blou hoed, en les bes, 'n groen hemp - asook 'n verwringing in die anatomiese weergawe, byvoorbeeld die te lang nek en die vreemde posisie van die hand (die 'ekspressiewe' hande wat algemeen in Meintjes se figuurstudies voorkom, is in sommige ander werke, soos bv. Weeklag (1958) lomp en ongeïntegreerde clichés). Die geportretteerde seun, met eweneens 'n uitdrukkingslose gesig wat tiperend is van Meintjes se portretgesigte, word weergegee in terme van die onsekerheid, maar ook die effens pretensieuse - 'n mens kan nie die pouvere in al hulle eksotiese prag miskyk nie! - van sy jeugdige ervaringswêreld. Surrealisme as kollektiewe Europese beweging van die tussenoorlogse tydperk is gebaseer op 'n geloof in die totstandkoming van 'n rewolusionêre eenheidsbegrip van alle bestaansvorme deur pikturale oorgawe aan die irrasionele wêreld van die droom en onderbewussyn - inderdaad het Dali en sy tydgenote geglo dat 'n bisarre en onlogiese kombinasie van objekbeelde, outomatisties voortvloeiend uit ons nie-rasionele onderbewussyn, ons in kontak sal bring met die 'totale, absolute werklikheid' (of te wel Surréalisme). Die na-oorlogse surrealistiese tradisie, waarby Suid-Afrikaanse kuns sedert die laat-veertigerjare aansluit, staan in die teken van 'n private geesteshouding en uiteenlopende eksplorasies van fantasie wat kentekend is van die verbeeldingsvryheid van twintigste-eeuse kuns. Kunstenaars put inspirasie uit 'n ryke verwysingsbron van visioenêre beelding, ook uit tydperke wat die Surrealisme voorafgegaan het, bv. Hieronymus Bosch, Pieter Bruegel die Oue, Piranesi en Giorgio de Chirico wie se sogenaamde 'metafisiese' skilderkuns van die jare net voor die Eerste Wêreldoorlog wye rimpelings in die twintigste-eeuse kunsgeskiedenis gemaak het. Slegs indien 'n mens aanvaar dat die surrealistiese tradisie na die Tweede Wêreldoorlog 'n baie losse verband met die oorspronklike beweging hou en dat die begrip 'surrealisties' vandag dikwels nie meer as bloot 'vreemd', of 'onlogies', of 'onverklaarbaar' (die nie-rymende aspekte van 'n nog min-of-meer representatiewe weergawe) beteken nie, openbaar Meintjes se kuns veral vanaf die laat vyftigerjare tot met sy dood 'surrealistiese' elemente. Sy vroeëre werke het kritici ook soms verkeerdelik tot die besluit gebring dat hy surrealisties werk, maar dit was tog 'n ekspressionistiese benadering wat Meintjes weggelei het van die natuurlike voorkoms van dinge; die afgetrokke, dromend-en-verwyderd-van-die-wêreld stemming van sy werk is eerder romanties as visioenêr. (By die jong en onontwikkelde Die Verlate Plaas van 1946 hoef 'n mens seker nie te veel van die 'surrealistiese' plasing van 'n gebeeldhoude kop in 'n tradisionele plaastoneel te maak nie). In Die Wit Beker (1978) is die ruimtelike en inhoudelike samehang tussen die drie vroue in die landskap waarop die venster uitkyk en die groot, wit beker met bloeiseltakke op die vensterbank in die voorgrond nie voor-die-handliggend nie. Die jukstaponering van 'n stillewe, wat die prentvlak oorheers, met drie uiteengeplaasde sittende figuurtjies wat staties en identiteitsloos, elk op 'n stoel, in 'n kaal, morbiede landskap vasgevang is, het die droombeeld-karakter wat dikwels surrealisties genoem word (vgl. Vorster 1959). Die Wit Beker gee sekerlik aanleiding tot verskeie interpretasies, maar grotendeels gaan dit myns insiens, soos in meeste van sy ander 'surrealistiese' werke, om die opwekking van 'n misterieuse stemming, 'n emosie van vreemdheid, wat die toeskouer betrek, vergelykbaar met die verontrustende plek-misterie van De Chirico se stadsgesigte. Romantiese simboolbegrippe, waarna vervolgens verwys sal word, is essensieel op gevoel en persoonlike belewing gebou en nie op 'n bewuste idee nie (Hofstätter 1973 : 33). Ten slotte is dit waarskynlik minder belangrik of 'n verganklikheidsgedagte, of moontlik 'n spiritualistiese ervaring, verbeeld is. Meintjes het ook enkele werke geskilder in die fantasie-idioom van Chagall wat elemente van die surrealistiese tradisie omsluit. In Perd in Maanlig (1967) is 'n middernagtelike toneel verbeeld wat tegelyk 'n nagmerrieagtige stemming uitdra en 'n afwagtingsgevoel opwek. (Sien ook Duifveer in Landskap (1974) in hierdie verband). Die romatiese kunstradisie kan teruggevoer word na die nuwe benadering tot die werklikheid wat deur die Romantici in Duitsland, Frankryk en Engeland tot stand gebring is (skrywers verwys dikwels na die geestesrewolusie van die negentiende eeu) : 'the great individual sensibility was the only faculty for aesthetic judgement' (Honour 1979 : 16). Grondslaggewend behels die romantiese konsep van 'wêreldvergeesteliking' die oordraging van menslike gevoelens op nie-menslike onderwerpe en word die Noordelike romantiese tradisie waarby Meintjes aansluiting vind, gekenmerk deur 'n stemming van melankolie of stille meditasie wat in mistieke natuurbeelde beslag vind. Die romantiese landskapsweergawe beliggaam 'n grootse stilte en word gekenmerk deur hipnotiese eenvoud, leegheid en gebrek aan narratiewe inhoud (Rosenblum 1975 : 12-13, 35-36). Romantisisme in die kunste is dus 'n geestesinstelling of lewenshouding wat met die stemming of toonaard van 'n skepping te doen het en nie aan 'n bepaalde styl of tegniek gekoppel kan word nie. In die literatuur oor Meintjes is byvoeglike naamwoorde soos 'digterlik' of 'poëties' (vergelyk onder andere Duminy 1974), 'liries' (Marincowitz 1948) en 'introspektief' of 'ego-sentries' (Lategan 1957) baie algemeen en het betrekking op stemmingsaspekte en die dominerende element van 'vergeesteliking'. Sittende Vrou in Landskap (1963) is 'n voorbeeld van verwantskap met die sogenaamde 'geaktiveerde kontemplasie' (Brion 1966 : 114) wat in die Duits-romantiese tradisie ontplooi : die mens as passiewe bepeinser (of aanbidder) van die grootse natuurmisterie dra 'n 'lewende sielselement' oor aan die natuurwêreld. Caspar Friedrich, 'n negentiende-eeuse Duitse kunstenaar, kan as die vader van 'die melankolie van leë ruimtes' beskou word, dit is die motiefsamestelling van leë, uitgestrekte ruimtes (landskappe) met klein, vereensaamde figure. Waar Friedrich egter 'n mistikus is en sy werke ingestem is op persoonlike transendentale belewing, 'n voelbaarmaking van die Goddelike, is die twintigste-eeuse weergawe van Meintjes meer eksistensialisties. Die geïsoleerde, identiteitslose figuur in die leë landskap van Sittende Vrou in Landskap spel grotendeels vervreemding uit. Die motiefsamestelling van gesluierde, monumentale figure in 'n uitgestrekte, leë landskap kom dikwels in Meintjes se oeuvre voor sedert die laat vyftigerjare. Die eenvormigheid van die figure onderstreep die identiteitsloosheid, en in die teenoormekaarstelling van mens en wêreld (natuur) in 'n onbetrokke verhouding word die totale prentvlak, getrou aan die romantiese tradisie, 'n 'lewende sielselement' wat in werking gestel word om die toeskouer te ontroer. 'n Mens sou egter moelik kon saamstem dat sy 'verbeeldingslandskappe', soos 'n resensent daarna verwys, 'n nuwe benadering tot die Suid-Afrikaanse landskapskildering verteenwoordig (People's Weekly 1957) - die landskap is slegs 'n motief in Meintjes se werk en selde die tema! Meintjes se romantisisme het dikwels, ongelukkig, ook gemanifesteer in werke met 'n onmiskenbare romantiekerigheid. Die kat as simbool van die misterieuse en onheilspellende verloor 'n seggingskrag in werke soos Seun met Katjie (1960) as gevolg van herhaling sonder onderwerpsontwikkeling. Die gevoelselement word ook oordryf in die eweneens herhalende groot, onsiende amandelvormige oë van Meintjes se weemoedige portretgesigte en sodoende word die opwekking van 'n romantiese stemming opgeoffer aan sentimentalisme. Met terugskouing op sy kunsloopbaan kom 'n mens tot die besef dat die 'sweet sadness of adolescent longing' (Berman 1983 : 285) wat 'n sentrale rol by sy romantisistiese instelling gespeel het, nie werklik aanleiding gegee het tot hoogtepunte nie, maar dat juis hierdie werke in aanvraag by die kunspubliek was. Johannes Meintjes se skilderkuns word gekenmerk deur duidelike vorm- en struktuurdefiniëring wat die grondslag vorm van sy monumentale styl. Kleurvlakke en objekbeelde word solied en omlyn weergegee sodat die prentvlak altyd 'n geordende karakter het. Essensieel is sy weergawes omhul deur 'n stilte en algehele afwesigheid van 'n suggestie van handeling en beweging : die 'tydloosheid' van die tonele dra by tot die verwyderde, droombeeldkarakter van Meintjes se kuns. Kleur speel 'n belangrike rol in Meintjes se estetiek. Van al die vormtaalelemente het kleur seker die onmiddellikste impak, wat hy terdeë besef het. Soos die Duitse Ekspressioniste ontgin hy die emosionele waarde van kleur - helder bloue, rooie, groene en oranje-gele wat ook kontrasterend gebruik word. Aanvanklik was sy palet dikwels lomp, soos die 'cartoon'-agtige veelkleurigheid van Straatmusikante (1945) wat die illustrasiekarakter van die weergawe versterk, of Maleise Kinderoptog uit dieselfde jaar waarin die warm tonaliteit oordryf word. Mettertyd het die kleurgebruik meer vereenvoudig en wyk hy selfs soms af van die kontrasterende gebruik, byvoorbeeld Maan en Bloeisels (1976) wat in hoofsaaklik aardse kleure geskilder is en 'n sensitiewe spanningselement deur die ruimtelike waarde van kleur gestalte vind. Die dramatisering in Meintjes se weergawes steun ook op die lig- en skaduspel in sy kleurgebruik. 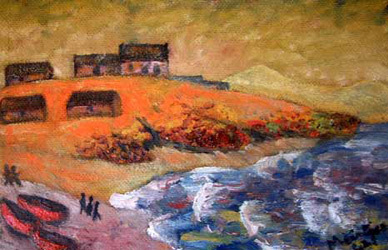 In sy portrette wat gewoonlik die gesigte in driekwart-aansig weergee, dit wil sê effens gedraai en nie frontaal nie, val die lig dikwels op die een helfte van die gesig. Skaduvlakke ondersteun die misterieuse stemmingselement soos in Die Jong Man Aan Die Slaap (1959). Meintjes kommunikeer selde deur volkome abstraksie en waar hy met abstrakte vorms geëksperimenteer het, is die resultaat gewoonlik onbevredigend. Die sirkel- en halfsirkelmotiewe wat hy in Sittende Vrou in Landskap (1963) gebruik, funksioneer dekoratief en verleen nie werklik 'n transenderingselement (wat moontlik sy doel was) aan die weergawe nie. Insgelyks slaag die abstrakte Landskap (1964) nie as beelding van die aardse-en-transendentale / metafisiese pole van die kosmos nie, en oorheers die dekoratiewe werking van halfsirkelvorme en die koel (blou) versus warm (aardse tonaliteite) kleurgebruik. Hoewel hy geensins natuurgetroue beelding nagestreef het nie en vormvereenvoudiging en -verwringing, asook die opheffing van drie-dimensionele ruimtelike perspektief, toepas om 'n innerlike werklikheid te verbeeld, is figuratiwiteit van belang. Die opwekking van 'n stemming van nostalgie, bepeinsig of melankolie is klaarblyklik afhanklik van 'n dimensie van herkenbaarheid. Romantisiste sinspeel graag op herinnerings (en tradisionele 'gevoelsimbole') wat die ontroeringsimpak bevorder. Interessant in Meintjes se ontwikkeling, is dat die mens in sy kunswerke van die sestiger- en sewentigerjare periodiek nie sentraal in sy beelde gefunksioneer het nie en hy soms stillewes in 'n ander sleutel geskilder het. Stillewe met Peule (1972) getuig van 'n oorgawe aan die genot van skilder : die kleure en verftekstuur in hierdie los geskilderde stillewe is opwindend en sensueel sodat daarwerklik nie sprake is van 'n eksistensiële gepieker nie. 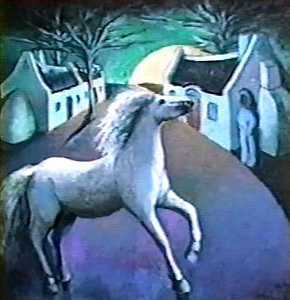 Daarteenoor behels Landskap met Rose (1977) waarskynlik meer as wat op die oog af blyk. Die vertikale motief van die tafeltjie met 'n vaas rose kan inderdaad met 'n menslike figuur geassosieer word, veral in samehang met die voëls in die lug (simbole van bevryding? ), en ook in vergelyking met ander soortgelyke landskappe waarin die menslike figuur wel voorkom (bv. Liggende Figuur Met Voëls In Vlug van (1971) en Plaasseun van (1978)). Die verskuilde humanitêre strekking van Liggende Figuur Met Voëls in Vlug (1971) is vergelykbaar met landskappe wat Meintjes in die laat-vyftiger- en vroeg-sestigerjare geskilder het waarvan Seegesig Met Skulpe (1962) 'n voorbeeld is. Die buiteverhouding groot skulp in die uitgestrekte, vereenvoudigde seelandskap funksioneer as 'n argetipiese denkbeeld (Bokhorst 1956) - waarvan die see, die nag, voëls, perde, ensovoorts in Meintjes se oeuvre ook voorbeelde is - wat gestalte gee aan die romantiese tydsbegrip van die ewige kosmiese siklus en wat ook 'n subtiele eksistensiële heenwysing beliggaam. Die feit dat Johannes Meintjes sowel skilder as skrywer was, het aanleiding gegee tot opvattings dat hy wesenlik 'n skrywer is wat skilder en die omgekeerde (!) dat hy 'n skilder is wat skryf. Danie van Niekerk skryf in 'n resensie oor Meintjes se drama Die Blanke Stilte dat grepe in die dialoog 'n mens daarvan bewus maak dat 'n skilder aan die woord is : 'n wêreld van fantasie en drome, van lelies en groot oë, en takke wat rank en rank en rank soos tot uitdrukking kom in die woorde, 'Die maanlig is silwer buite, en daar is perskebloeisels in die boord - bloeisels om deur my hare te vleg' (Van Niekerk 1952). Enkele jare later merk 'n resensent op dat sy skilderye te 'literêr' is, selfs wanneer hy titels vermy wat 'n storie vertel (Packer 1955). Meintjes gebruik simbole met 'n konvensionele inhoudstrekking, soos bloeisels (ontwakende groei), aronskelke (die doodsgedagte), voëls (die vryheidsgedagte) en dies meer, wat dus inderdaad 'n literêre karakter het. Hierdie aspek kan die plastiese kwaliteite van 'n skilderwerk onderdruk, soos in Droom En Werklikheid (1946), maar as narratiewe manifestasie, bv. 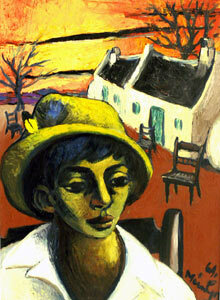 in Sondagmiddag (1956) en Huise en Figure (1959), baat die piktoraliteit van die werk by die verhaal-element. Dit sou nietemin 'n sinnelose oefening wees om te bepaal of Meintjes se skryfwerk sy skilderwerk nadelig beïnvloed het. Hyself het dikwels gesê dat hy in die eerste plek skilder en skryf slegs as stokperdjie beoefen (vergelyk onder meer The Friend, 25 Maart 1957). Ten spyte van die literêre toekennings wat Meintjes ontvang het - onder meer 'n prys vir Die Blanke Stilte met die Van Riebeeck-herdenkingstoneelwedstryd in 1952 en 'n toekenning van PEN in 1965 - het hy ten slotte groter erkenning ontvang vir sy nie-fiksie, waarvan sy biografieë van belangrike figure in die Suid-Afrikaanse geskiedenis die vernaamste was. Resensente het dikwels na die egosentrisme van Meintjes se skilderkuns, wat betrekking het op 'private' simbole wat ontoeganklik is vir die toeskouer, en, bowenal, die herhaling van 'n gesigstipe wat na selfportrette lyk in sy portretstudies tot ongeveer die laat-vyftigs. Dit is wel waar dat die kwaliteit van sy portretstudies verbeter het in latere werk toe hy losgekom het van die geykte gesigte (bv. Jong Man Met Pouvere van 1977), maar terselftertyd moet toegegee word dat die gemoedstoestand en stemming altyd 'n universeel-menslike dimensie gehad het al sou dit in oppervlakkigheid verval het. Meintjes se vermoë om 'n portret te skilder wat die persoonlikheid van die model tot uitdrukking bring, is duidelik aanwesig in onder meer Portret Van Ronell (1961) en die reeds genoemde Jong Man Met Pouvere. Die kunstenaar het sy herhaling van manlike gesigte wat op homself trek verduidelik as die onbewuste resultaat van geheuewerk (hy ken immers sy eie lyne, sê hy) en dat dit geensins op selfverheerlikte portretskildering dui nie (Ballot 1958 : 8). 'n Vraag wat dikwels opduik, is die kwessie of Meintjes se kunsloopbaan nie nadelig beïnvloed is deur te veel lofbetuigings aan die begin van sy loopbaan nie. Oor sy skryfwerk spreek Rykie van Reenen in 1955 reeds die kommer uit dat sy werk dalk te gou bekroon is (Van Reenen 1955). In 1961 noem Nebille Dubow hom ' 'n slagoffer van oordrewe lof waaraan hy moeilik gestalte kon gee ' (Dubow 1961). Inderdaad het kritici en die publiek dikwels juis waarde geheg aan die swakker eienskappe van sy werk wat kon bydra tot Meintjes se neiging tot sentimentaliteit en ook die dekoratiewe neiging in sy werk bevorder het (die dekoratiewe doelstellings en emosionele instelling kon soms nie tot integrasie gebring word nie). Hoewel Johannes Meintjes se skilderkuns nie tot die avant-garde beweging in Suid-Afrikaanse kuns gereken kan word nie, het hy 'n daadwerklike oorbruggingsrol in die ontwikkelingsgeskiedenis van kunswaardering gespeel. In die veertiger- en vyftigerjare het Meintjes die publiek se simpatie vir 'moderne' kunsbenaderings en –tegnieke gewin. Sy modernisme was nie opportunisties nie, maar tog kon hy daarin slaag om toeskouers te oortuig dat die manipulasie van die gekende objekbeeld ter wille van vrye ekspressie regverdigbaar is. Terselftertyd het Meintjes die vergeestelikingsrol wat beeldende kuns kan speel - die sigbaarmaking van 'n emosionele werklikheid - en wat wyer en dieper strek as illustratiewe kwaliteite, met sy 79 eenmanstentoonstellings en deelname aan talle groepstentoonstellings, by die publiek ingeskerp. Anon. 1947. Kunstenaars tou na die Noorde / Johannes Meintjes vorder. Dagbreek : 13, 28 September. Anon. 1949. Die beste van vanjaar / Ons 'Oscar'-toekennings. Die Vaderland, 23 Desember. Anon. 1958. Johannes Meintjes se werke. Die Vaderland, 1 Maart. Anon. 1963. Johannes Meintjes / Veelsydige kunstenaar. Lantern : 80-89, Maart. Ballot, M. 1958. Johannes Meintjes stal uit in Vorstergalery. Die Perdeby : 8, 28 Februarie. Berman, E. 1983. 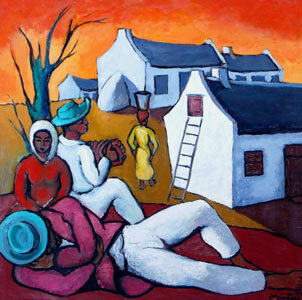 Art and Artists of South Africa... Kaapstad : A A Balkema. Bokhorst, M. 1956. Titel onbekend. Cape Times, Maart. Bokhorst, M. 1961. Show is a great step forward. Cape Times, 2 November. Brion, M. 1966. Art of the Romantic era : Romanticism, Classicism, Realism. London : Thames and Hudson. 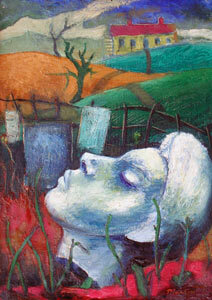 De Bruyn, N. Maggie Laubser (titel onseker). Kultuur, Junie. Dubow, N. 1961. Dream-world art by Johannes Meintjes. The Cape Argus, 31 October. Duminy, P.A. Johannes Meintjes. South African Panorama : 22, et seq., July. Eglington, C. 1957. 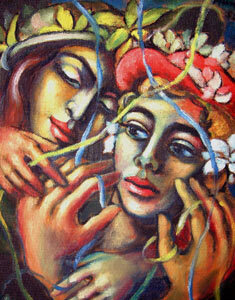 Super touch evident in new canvasses by Meintjes. The Friend, 26 March. 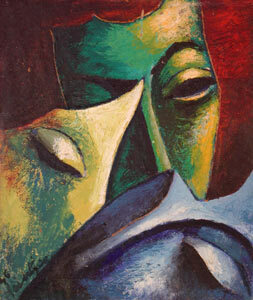 Honour, H. 1979. Romanticism. London : Allen Lare. Horn, G.J. 1944. Belowende jong skilder stal uit. Die Transvaler, 1 September. Human, J. 1944. Dinamiese krag van jong skilder. Die Brandwag, 1 September. Lategan, F. (pseud. Esel). 1957. Sterk stemming in Meintjes se werk. Die Volksblad, 26 Maart. Marincowitz, P. 1948. Introduction, in Meintjes - Lyrical work / Liriese werk. Kaapstad : Anreith. Meintjes, J. 1944. Die waardering van 'n skildery. Die Huisvrou : 5, 8 Augustus. Meintjes, J. 1945. Die posisie van die jong kunstenaars in Suid-Afrika / Ons is ook maar mense. Kultuur, 16 et seq., Mei. Packer, M. 1955. Stories in paint. The Star, 15 Oktober. Smit, B. 1950. Gesprek met 'n kunstenaar. Die Stellenbosche Student, L (1), 13, April. Van der Westhuizen, H.M. 1953. Die jongste rigtings in die skilderkuns en verwante kunste in Europa en Suid-Afrika. Tydskrif vir Wetenskap en Kuns, xiii (2) : 56-57, Oktober. Van Niekerk, D. 1952. Die skilder skryf ook. Die Burger, 15 November. Van Reenen, R. (pseud. Elizabeth Tredoux). 1955. Titel onseker. Sarie Marais, 7 September. Vogt, P. 1972. Geschichte der deutschen Malerei im 20. Jahrhundert. Köln : M DuMont Schauberg. Vorster, A. 1959. As Meintjes minder ambisieus is, slaag sy werk meer. Die Transvaler, 8 Julie. Zumpt, F. 1958. Gemälde von Johannes Meintjes / Eine sehenswerte Ausstellung. Allgemeine Zeitung : 8, den 22. Mai.